Doblinger Music Publishers, Vienna (catalog # 06 710). Individual parts are available for clarinet (Cat. # 36 605 KL) and violoncello (Cat. # 06 710 VC). 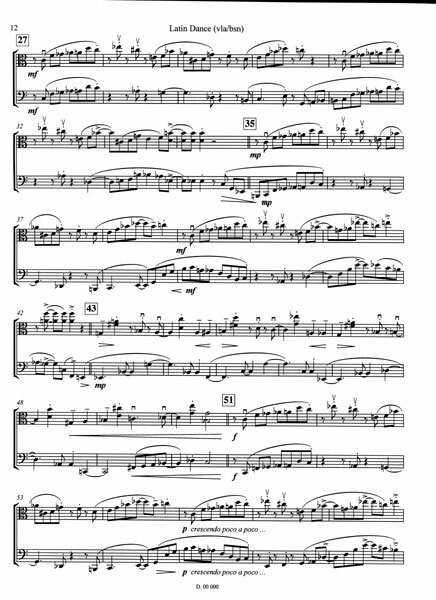 10/09/2000 at the University of Southern California in Los Angeles, CA by Brian Dembow - viola and Judith Farmer - bassoon. “Wow! 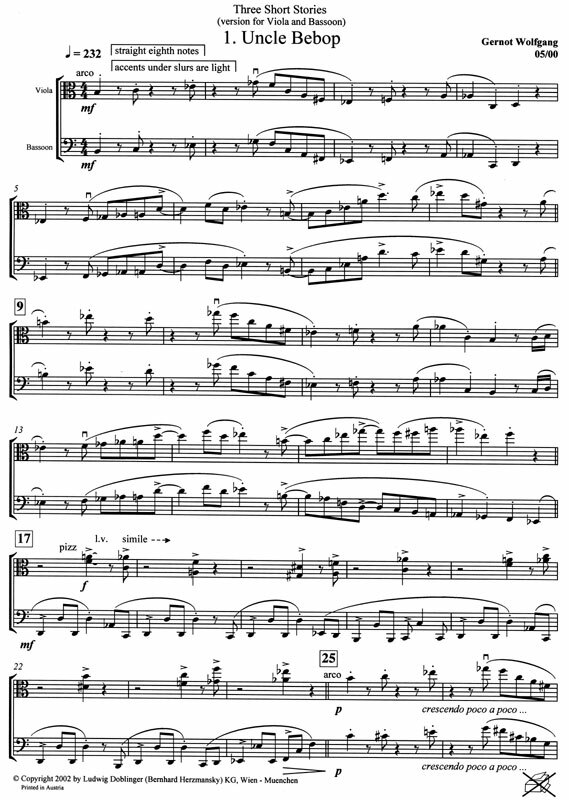 Composer Gernot Wolfgang has written another “keeper” of a work here for the unlikely combination of viola and bassoon! … As is the case with his other chamber works, Gernot’s compositional style draws heavily on the elements of jazz and widely expanded traditional harmony … The three movements: Uncle Bebop, Rays of Light and Latin Dance, follow the traditional fast-slow-fast format and forms for the most part, but as with his other works, are immediately captivating for their expressiveness and excellent, interesting musical ideas that draw the listener right in … I cannot recommend this work strongly enough to you – a true “keeper”.